Chicago, 1957. Two sisters, the Haines sisters, have gone missing and the entire city is in an uproar. As word of their disappearance spreads across the country, two police detectives are assigned the arduous tasks of finding them alive or bringing their bodies home. However, as the two hardened cops begin to investigate, they soon find that things are not as cut and dry as they thought. This is not a simple kidnapping. I enjoyed this short story very much. 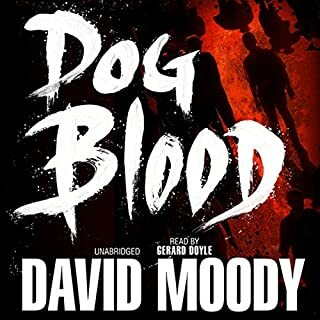 What starts out like a hardboiled detective story gingerly weaves into a supernatural horror story that was for me one of the most original stories heard in a long time. Scott Odell's performance was great. 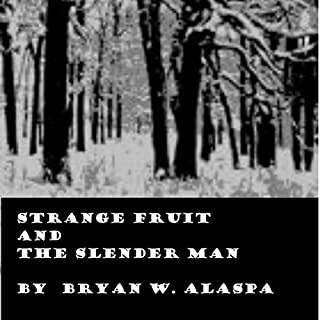 This was my first Bryan Alaspa story, but it won't be the last. What crap! I'm embarrassed to have purchased this book. 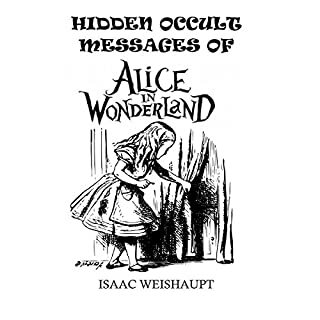 I should have looked up the author before purchasing it and, then, I might have figured out that he knows nothing at all about Lewis Carroll, Victorian culture, or anything one would suppose someone writing about symbolism in Carroll's most important work would know. What little he does say of any consequence about the work could have been gleaned from a Wikipedia article. Inscrutable, unsubstantial, in fact, the writing of a conspiracy nut posing as an authority on the occult. It's nonsense and Audibel should not even be carrying it. I could have bought a nice cup of coffee with my three bucks. From Dayne Sherman, the critically-acclaimed author of Welcome to the Fallen Paradise, comes a gothic treatment of the American South: a hard-charging depiction of religion, family, friendship, deception, and evil. Zion is a mystery set in the rural South, the story of a war fought over the killing of hardwoods in Baxter Parish, Louisiana. The tale begins in 1964 and ends a decade later, but the Hardin family, faithful members of Little Zion Methodist Church, will carry the scars for life. This is one of the finest reads by a new author I've come across in a long time. 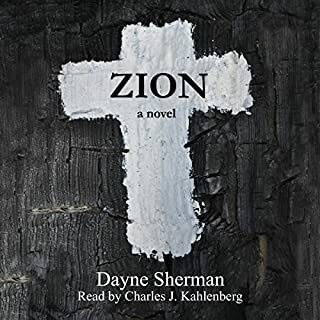 If you're a fan of James Lee Burke, you really need to check out Dayne Sherman. The story is great, authentic southern gothic, and Charles Kahlenberg's performance is terrific! 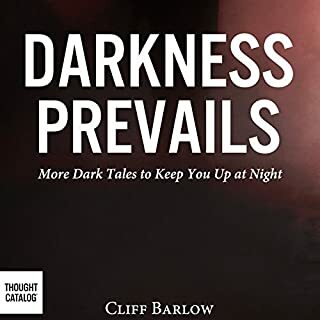 Darkness Prevails is a collection of 15 terrifying tales by author Cliff R. Barlow. From twisted yarns about the demons of hell to gut-wrenching stories about the unrelenting demons within, this collection pulls no punches. You have been warned. This is not for the faint of heart. 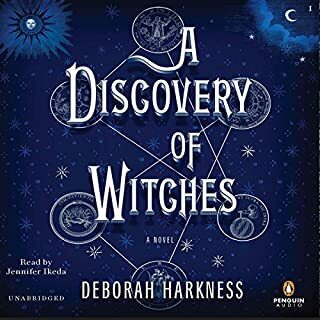 An amazing collection of stories, (at a great price), strung together by a recurring theme that pops up in unexpected places from beginning to end. For me, these are like no other stories I'm familiar with and I enjoyed them greatly. There is some gore and a bit of sexual content, so if those things bother you, you might want to steer clear. However, if you're looking for short stories that are genuinely terrifying, this could be your book. 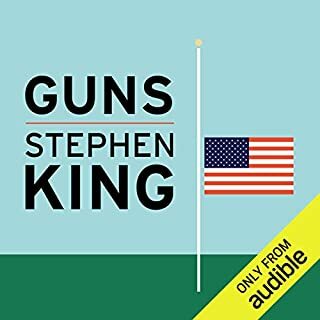 In spite of the many great novels, novellas, short stories, and essays produced by King over his long career, this short piece of writing is definitely some of his finest. Not kidding -- this is a must-listen! Harrow is haunted, they say. The mansion is a place of tragedy and nightmares, evil and insanity. First it was a madman's fortress; then it became a school. Now it lies empty. But an obsessed woman and a ghost hunter want to bring the house back to life to find out what lurks within Harrow. Together they assemble the people who they believe can pierce the mansion's shadows. I really can't rate the story because the narrator was so awful I couldn't finish it. 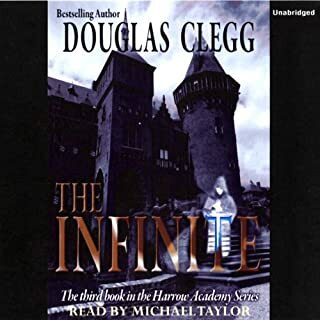 If you like the villains in your stories voices to sound like Squidword from Sponge Bob Squarepants, this is the narrator for you. 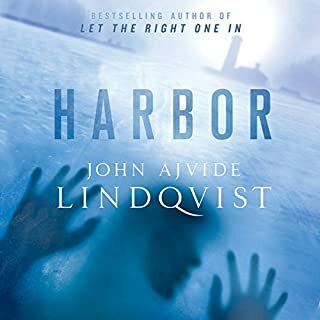 Lindqvist's prose is wonderful and his storytelling is meticulous -- it unfolds so gradually that one may not notice a turn in the story until it's well underway. What a crafty writer! Great book! I gave this book a mediocre rating which isn't really fair, and were I not required to rate it in order to make this post, I wouldn't have. If I were a young reader, say fourteen or fifteen, I am certain I'd have given it a high rating. This is not a book for adult readers. I'm not saying an adult reader could not enjoy it -- I enjoyed some of the Harry Potter books. However, the description of the book had me believing this was something a little deeper than it is. Audible should do a better job of putting books into categories that allow its members to choose better. If you read the description of this book, there's nothing in it to tell you that it's for young readers, or, at least, nothing that I was able to find. Anyway, in my opinion, this is probably a fine read for young people. Not so much for myself. "It is what it is. That's her car out there and, well, that's her right there. "Jeremy looks at the woman again. There's a few flies dipping in and out of the back of her skull. "What happened to her?" I feel a little uncomfortable. I wasn't really planning to lay it all out like this. "Well, I hate to say this but I killed her." Jeremy nods slowly. He's starting to take this in and I'm relieved. 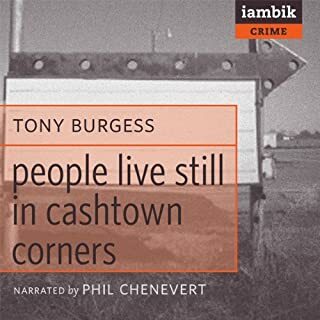 Were you to read this piece, I'm certain you would hear Burgess' voice to be quite different from the voice of the narrator of this audio version. The Earth has been torn apart. Everyone is either human or Hater, victim or killer. Major cities have become vast refugee camps where human survivors cower together in fear. Amidst this indiscriminate fighting and killing, Danny McCoyne is on a mission to find his daughter, Ellis. Free of inhibitions, unrestricted by memories of the previous world, and driven by instinct, children are pure Haters and might well be the deciding factor in the future of the Hater race.